The Olympic Games: just saying it conjures up images of top athletes straining for the finishing line, the crowd roaring during the 100 metres final, the heartbreak of a relay team dropping their baton, the sudden spurt in public expertise on sports such as shooting or three-day eventing as the medal tally highlights their national importance. All the focus is on the athletes, the competition and the medals. That is what the Games are about. But to get an event of this scale up and running takes dedication and commitment from a lot of people who won’t be wearing Lycra on the day. 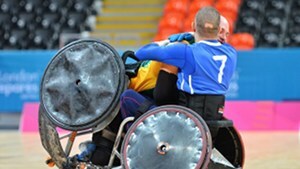 Consider, for example, the Paralympics – arguably an unsung hero in itself compared with its bigger Olympic brother. Think of the complex system of classification that allows people with different abilities to compete fairly, or the astonishing achievements of those running or swimming without limbs, playing football without 100 per cent vision or competing in marathons with no legs at all. Equally remarkable are the people who make and maintain the equipment these athletes need to keep them moving – who make sure the prosthetic limbs fit so well that the wearer can overturn world records and that the wheels on the chairs don’t come off on the last corner. 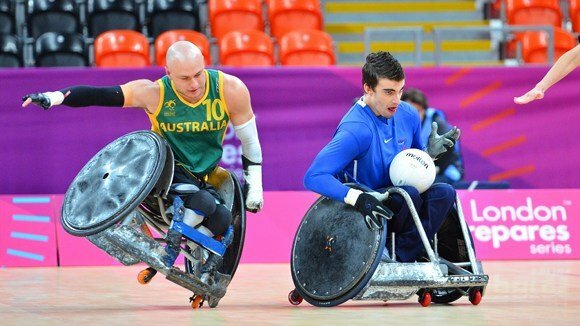 In London this summer, Ottobock Health Care, a manufacturer of specialist sporting equipment, takes on the responsibility of providing free servicing for all the specialised wheelchairs, artificial limbs and other equipment of the roughly 4,200 athletes who will compete in London after the main summer games are over. The company will send a total of 13.7 tonnes of equipment to London before the launch of the London 2012 Paralympic Games from their head office in Germany. The first nine tonnes (roughly 15,000 spare parts) have already arrived. That is a lot of kit. The company is sending 80 technicians from all over the world to the games. It plans to set up a central servicing centre in the Olympic village and provide teams to all of the nine major venues. Ken Hurst, manager at the Ottobock Academy UK and technical director Paralympic Games 2012, says that out of the 80-strong technical team, 12 will be welders. As Hurst remarks, some of the athletes are very hard on their equipment. “We will spend a lot of time repairing chairs. There will be lots of punctures. Once things like the rugby get started, there will also be a lot of welding. They are quite rough on the chairs and there are often lots of little cracks that need fixing,” he says. The chairs are built for action as they really take a battering. The chairs designed for rugby look a little like tanks. The wheels seem to have armour plating over their spokes, and the chairs for attacking players have solid bars all around the front, reinforcing the frame. But despite its bulky appearance, a rugby chair is lighter than an everyday wheelchair. “The main thing for a sports chair is that it has to be ultra-light as well as extremely strong and durable,” says Simon Tempest, mobility solutions manager at Ottobock. Sports chairs at this level are highly customised and carry hefty price tags. A generic basketball chair, for example, might cost around £800, but a top-of-the-line, made-to-measure version could cost closer to £4,000. Tempest says that at the very top end, the chairs become totally individual, bespoke pieces, tailor made for each athlete. “This is more detailed that just taking some measurements and building something that fits the dimensions of the person,” he says. A sports chair is constructed from aluminium tubing and even the wall thickness of the tubing depends on the weight of the chair's user. Though this might make only a small difference to the overall weight of the chair, it can make a big difference in a marathon. The process of welding the tubing together introduces impurities which weaken the frame. So once it has been built, the chair is baked slowly at a low temperature to purify it. Tempest says this is especially important for the rugby chairs, where strength counts for everything. But despite the high levels of customisation, many components are still relatively standard. “An arm pad is an arm pad, at the end of the day. A lot of the accessories are pretty generic,” says Tempest.